Since first grade, the Medford Girl Scouts of Troop 75198 have enjoyed hiking the many trails throughout the Middlesex Fells. 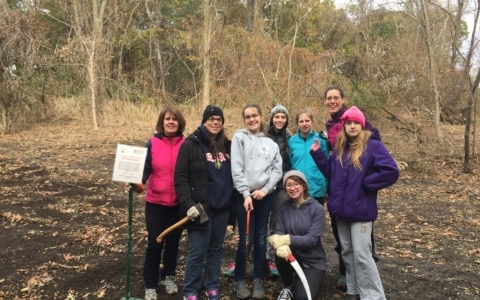 Now, seven years later, these Cadettes are switching from visitors to environmental stewards as they prepare an impressive meadow restoration project. 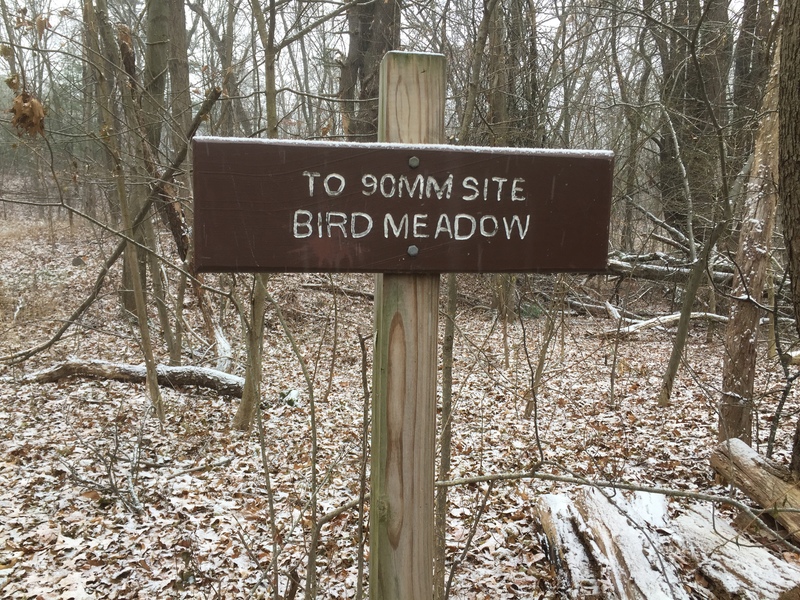 Located at the former military anti-aircraft 90mm site not far from South Border Road, the meadow restoration project will transform the overgrown field into a pollinator’s paradise featuring native grasses, wildflowers, and berry plants for the local birds, butterflies, and deer to enjoy year-round. But before the planting there needs to be extensive planning. The Cadettes have passed the long winter researching native species, planting, and fertilizing techniques (including potentially using spent grain from local breweries) and meeting with experts and botanists from the DCR, Friends of the Fells, and the Mystic River Watershed Association. Their resulting five-part action plan features a cleanout day to combat invasive species like Asian bittersweet. They will also be mowing, laying loam, planting, weeding, and watering. To read more about previous restorations in this space, click here. 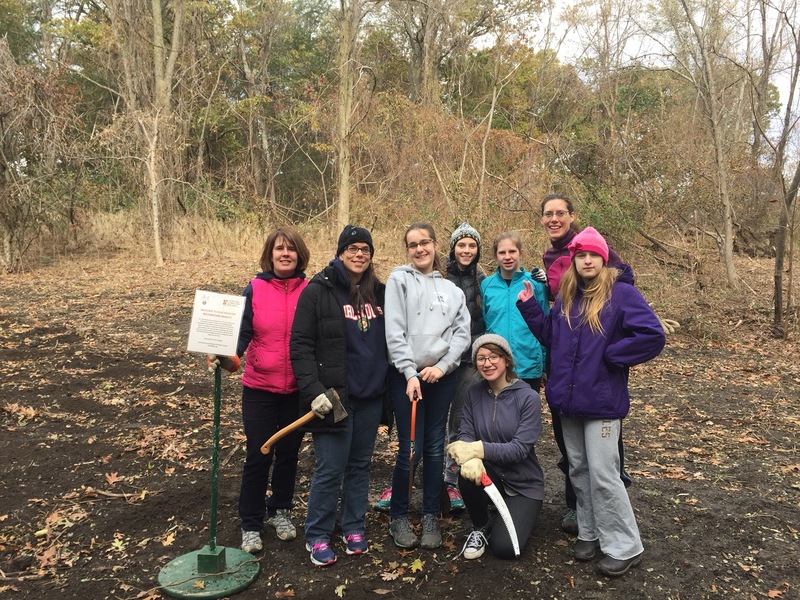 This meadow restoration is the troops’ Silver Award Project, which requires Cadettes to create positive change in their community. The Silver Award is the highest award a Girl Scout Cadette can earn. If that sounds like a big deal, it is. Scouts make a commitment of at least 40 hours of work each. Troop 75198 is already 20-plus hours in. The Cadettes plan to invite the whole community to join them for the site cleanup day soon. Bookmark the Friends of the Fells calendar and stay tuned for more information. Until then, the Cadettes only have one final challenge to overcome: rocks. Because much of the Fells dirt is jam-packed with solid Massachusetts granite and other stone, the troop faces the age-old Bay State issue of growing anything in this stubborn soil. But their solution is straightforward: “We picked [the area] that we think has fewer rocks,” says troop leader Gretchen Gingo. I’d say these Cadettes have the Silver Award in the bag. Well done! For many years I have enjoyed seeing the American woodcock sky dance in this area– thanks to you all for ensuring this breathtaking spring ritual will be able to continue!